Created with simple textured stitches. 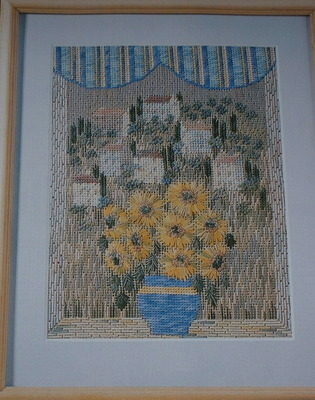 The design is worked in a variety of canvaswork stitches. Includes full size stitching plan on graph paper. Also includes a black and white template coded for the stitches. Full step-by-step instructions for working the design. Jazz Design hand dyed threads listed.